Willy Wonka would be in heaven exploring the elegant chocolate shops in Paris. The city is famous for its delicious cakes and breads, but foodies will fall for its dreamy chocolate creations too. Drawing on the skills of its masterful chocolatiers, Paris offers both traditional and contemporary chocolates which are sure to wow. 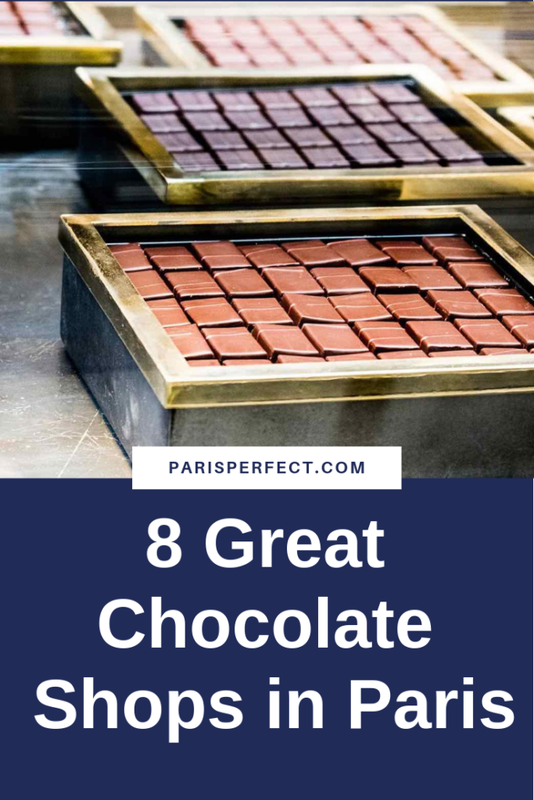 We’ve selected eight great chocolate shops in Paris for your delectation, all handy for stylish Paris Perfect stays. Bon appétit! 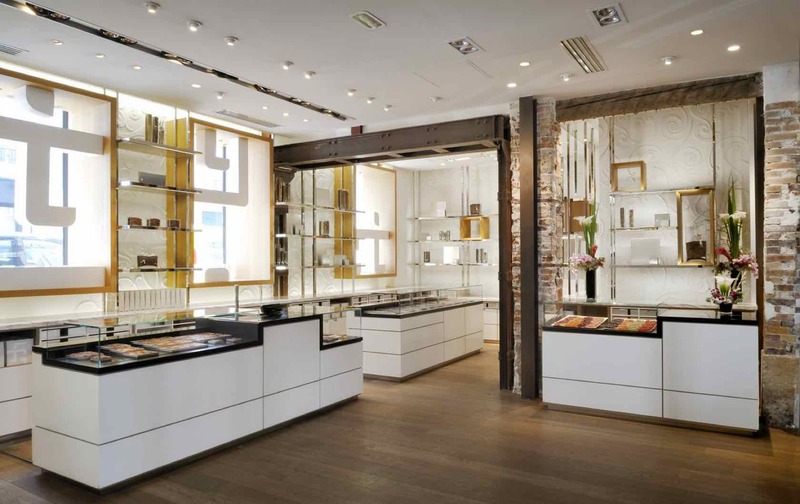 Belgian chocolate whizz Pierre Marcolini has a clutch of chic, modern boutiques around town. The passionate chef has been perfecting his bean-to-bar craftsmanship for over two decades. 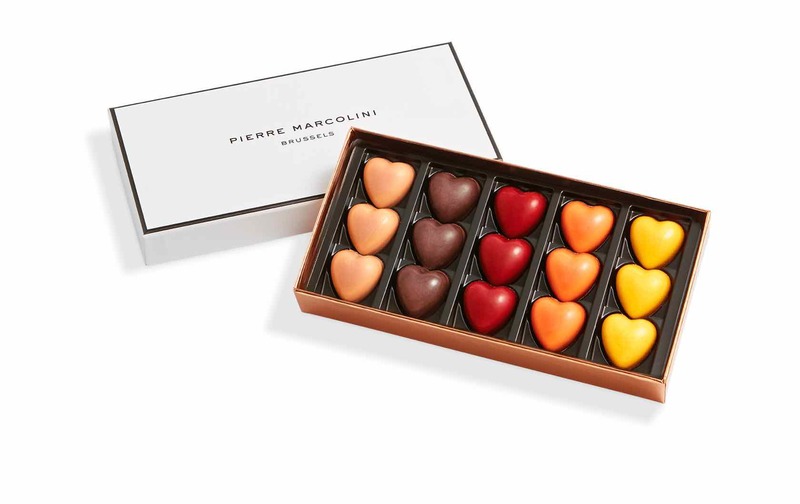 Signatures include the curvy Raspberry Heart, filled with dark chocolate ganache flavored with raspberry pulp, and single-origin, square-shaped Carré2 Chocolat bars. Beautiful boxes of chocolates include praline sleigh bells and a selection of 33 of the Maison’s finest creations. For healthier hedonism, fashion designer Victoria Beckham’s limited edition iridescent chocolate hearts, in a gold metal box, contain reduced sugar. 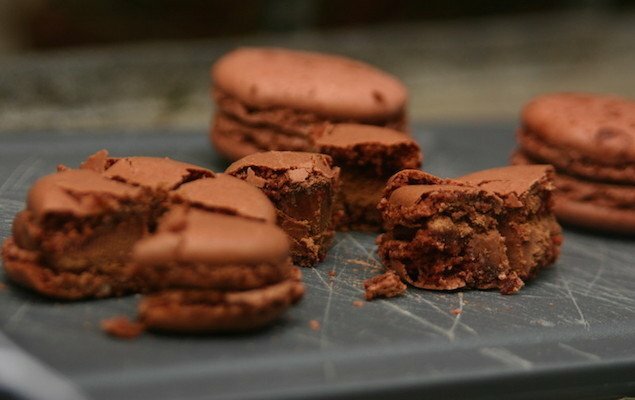 Alternatively, indulge with handcrafted Salted Caramel or Champagne Truffles. Bliss! 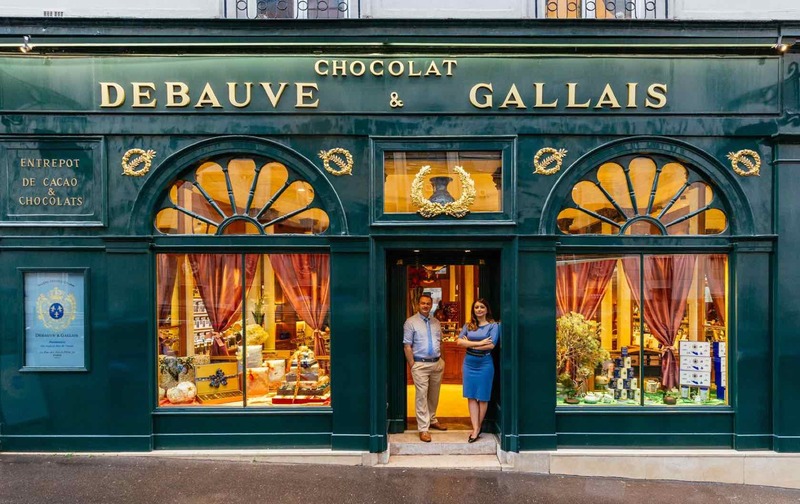 French royally appointed chocolatier Debauve & Gallais has been in business for over 200 years. The official chocolatier of the ancient kings of France, the brand was founded in 1800 by Sulpice Debauve. His nephew Auguste Gallais joined in 1823. Originally a pharmacist, Debauve first blended cocoa butter as a headache cure for Queen Marie-Antoinette in 1779. His chocolate pastilles are now dubbed The Queen’s Coins. Two elegant Paris shops stock treats like The Cats Box, a feline-illustrated selection of four types of chocolates. Sporty types will love the Golf Ball, white chocolate shells filled with praline, dating from 1892. The French chef behind industrial-chic boutique Le Chocolat Alain Ducasse is famous for his fine-dining restaurants. Manufactured in Paris in collaboration with artisan makers, his chocolates use only the best, most characterful cocoa beans. They’re available in three families: ganaches, pralines and truffles. Try a Discovery Box of dark and milk chocolate ganaches and pralines with 12 pieces and 12 flavors, including lime, vanilla, coconut, passionfruit and pistachio. 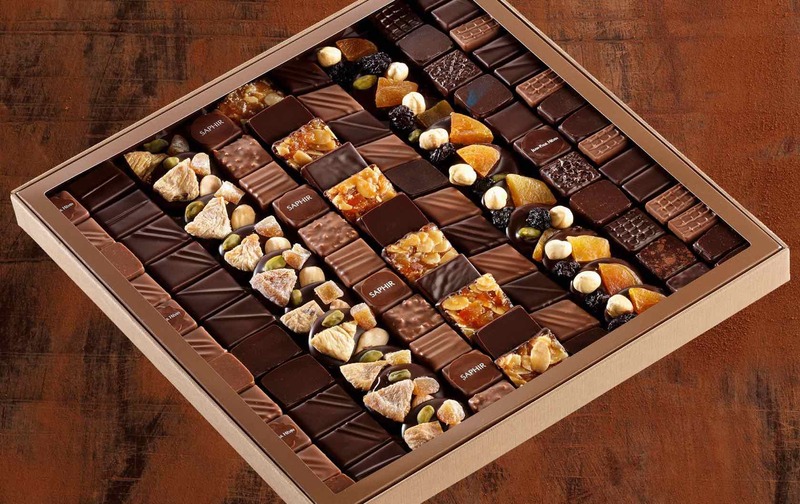 Explore 47 different types of chocolate bar too, from Signature and Single-Origin pure chocolates to Mendiant bars covered in caramelised nuts. Candied fruit, dragée sweets and chocolate spread also make good gifts. “There are two things to see in Paris – the Eiffel Tower… and Jacques Genin!,” according to one keen reviewer. 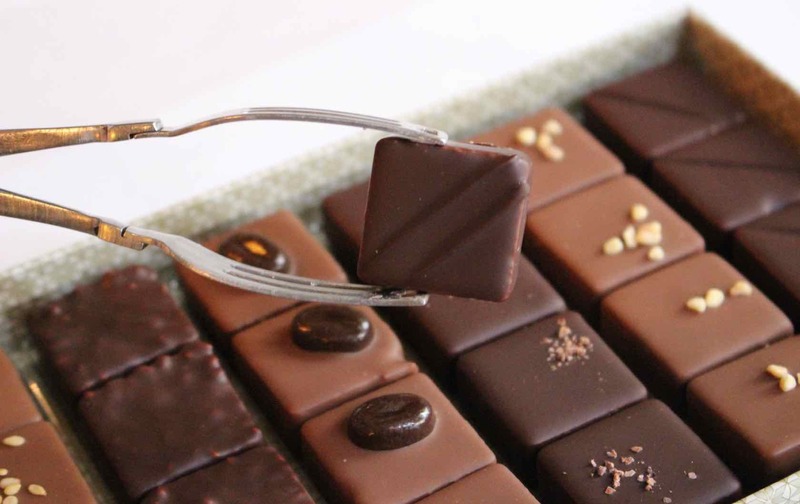 Boasting two stores, the inspiring chocolate brand is a must for lovers of sweet treats. Chic residential-style boutique fit-outs include a dramatic spiral staircase at the rue de Turenne branch in the northern Marais. 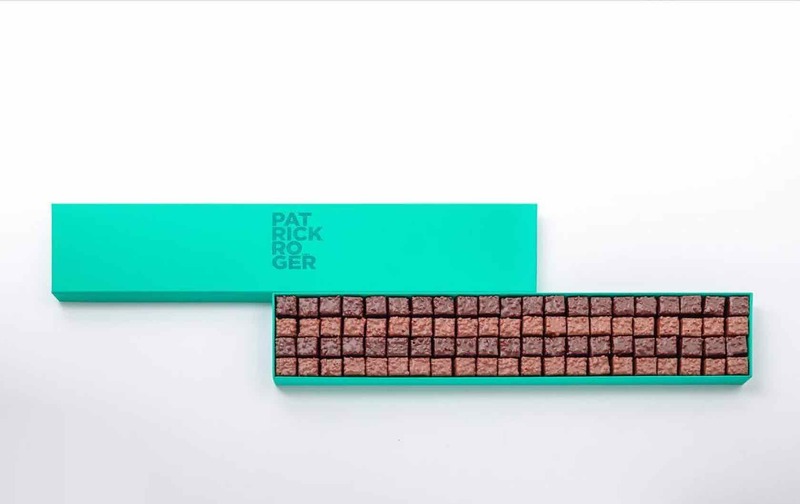 French chef Jacques Genin crafts exquisite chocolates, displayed like jewels, with bold flavors from Sichuan pepper to coriander and grapefruit. 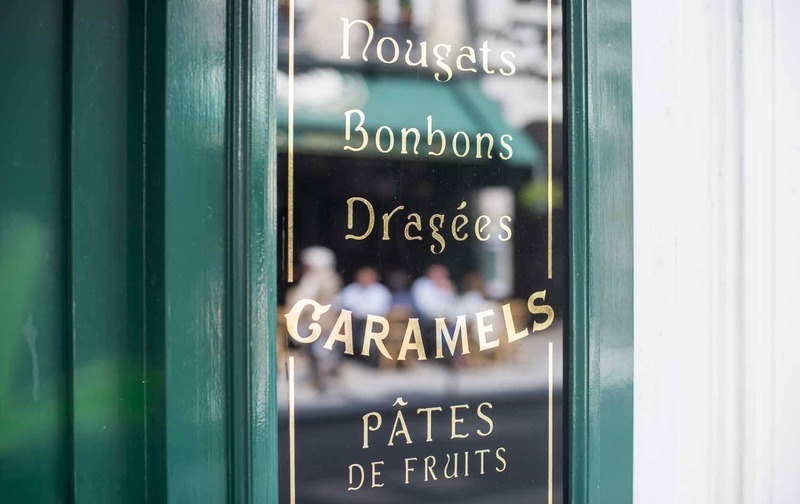 Also try his delicious caramels, nougats, pretty pâtes de fruits (fruit candies) and jellied vegetables. Proof that chocolate shops in Paris look as good as they taste! 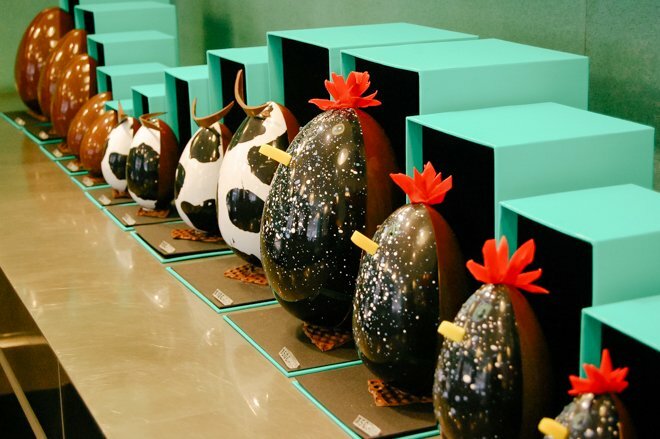 For high-end chocolate, make a beeline for award-winning French pastry chef Jean-Paul Hévin. 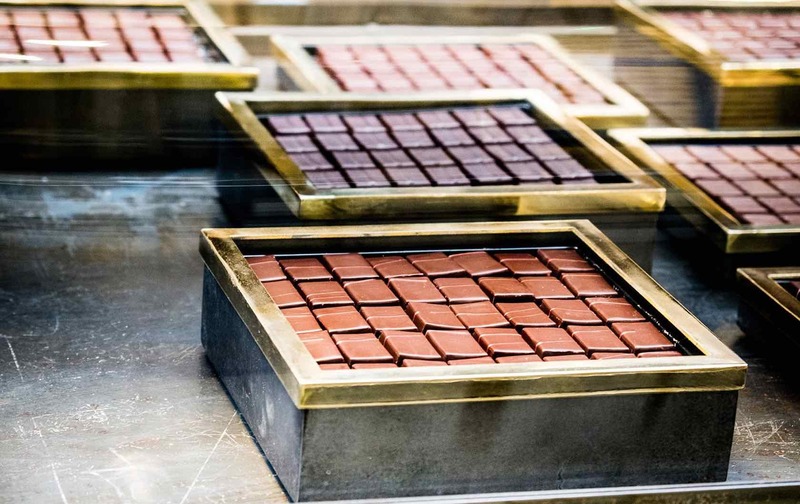 The chocolatier has six minimal-yet-glam chocolate shops in Paris, stretching from Jardin du Luxembourg to Vendôme, the Marais and Invalides. You can also visit outlets near the Louvre and at luxe food emporium Lafayette Gourmet. Hévin’s chocolate bars are crafted from the best cocoa beans, including his finest Grand Crus collection, combined with notes of flowers, spices, coffee and nuts. Available in gold boxes, the little dark chocolate squares contain painterly traces of colour. Truffles come in shiny navy tins and low-sugar pralines are crispy and aromatic. 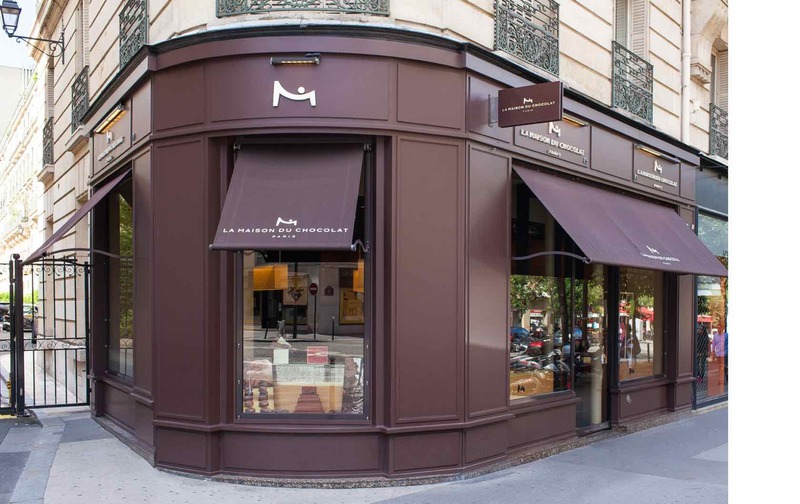 French chain La Maison du Chocolat was started by Robert Linxe in 1977, a wizard of innovative ganache fillings. Now headed by acclaimed talent Nicolas Cloiseau, the brand boasts seductive stores around the world. Discover why by snapping up a signature box of dark and milk chocolate ganaches and pralines. The house’s decadent, rich truffles are also a must, dusted with cocoa power. Try them plain or flavored with champagne, cassis or caramel toffee. Wackier creations include chocolates paired with pepper, olives and salt. The striking boxes and ribbons are souvenirs in their own right, including colourful hat box-inspired packaging. One of the most traditional chocolate shops in Paris, family-run À la Mère de Famille opened in 1761. Its vintage-chic, heritage-listed boutique in the 9th is the city’s oldest confectionery store. It now boasts 10 branches across town and wraps goodies in trademark orange packaging. Specialties include the vibrant Duo d’orangettes, yummy candied orange peel which comes both sugar-coated and encased in dark chocolate. Bags of tasty truffles and crunchy Florentins biscuits (made from almonds, fruit and honey coated in chocolate) are hits too. You can also buy ice creams, cakes, caramels and candies (the marzipan mouse is crazily cute). Posted on Tuesday, January 22nd, 2019 at 5:10 am in Food & Drink. You can follow any responses to this entry through the RSS 2.0 feed. You can skip to the end and leave a response. Pinging is currently not allowed.